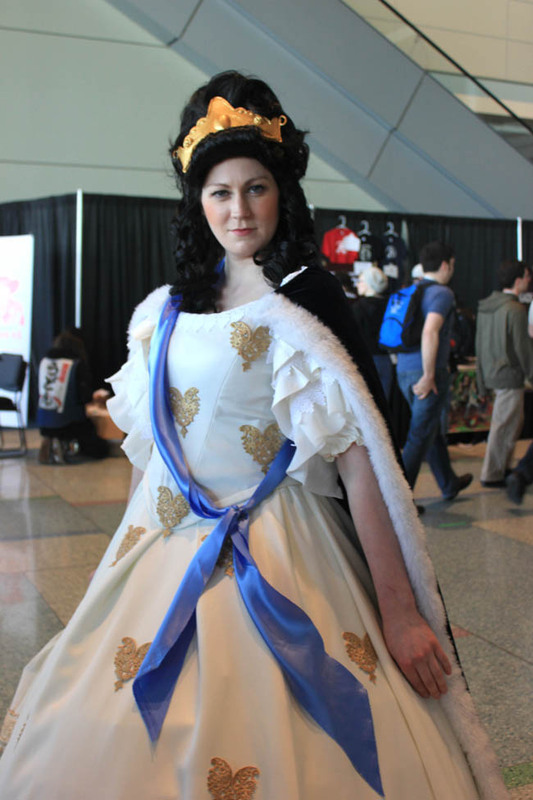 On Day 2, we spoke to Samantha about her wonderful Civ V-Inspired Catherine the Great costume, and discovered it earned her college credit. Day two of PAX East saw many skilled cosplayers having a blast and showing off their hard work. 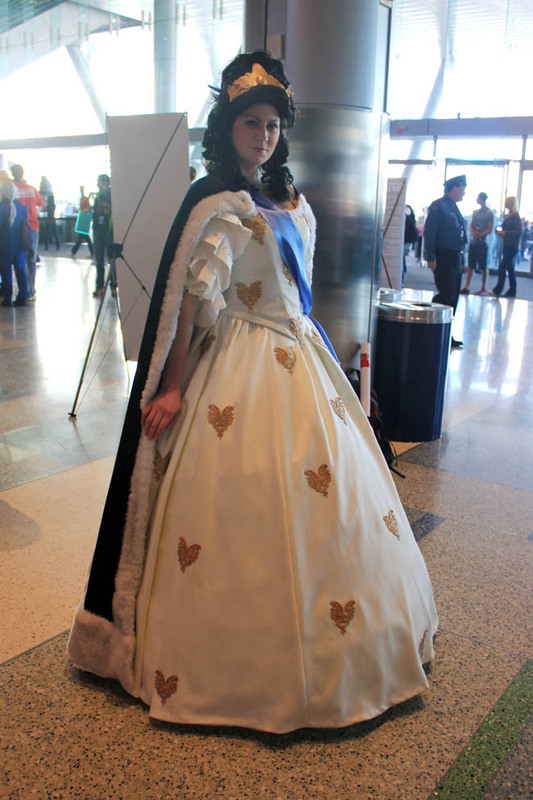 We spoke with Samantha about her Catherine the Great costume from Civilization V and how she managed to work together her cosplay hobby with an independent study course. Samantha: This is actually my second year going all out. Many years ago I went to an anime convention in Seattle, but it was much more reduced - much more reduced than this costume. 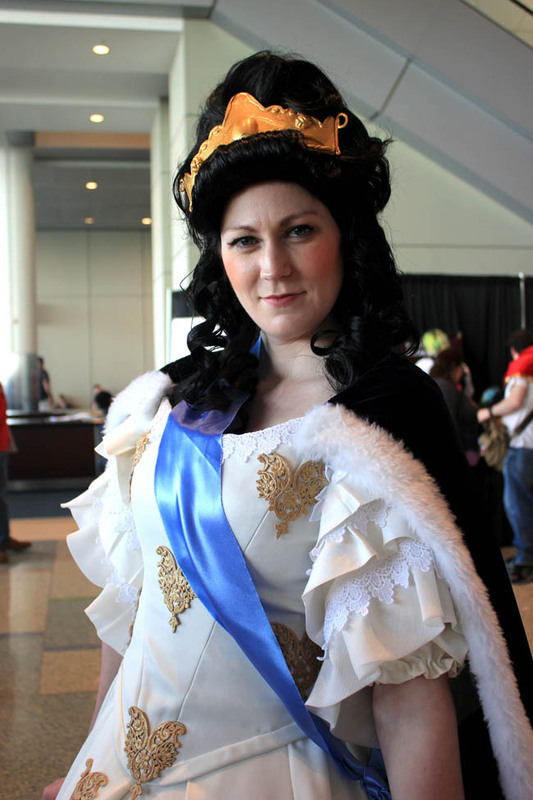 The Escapist: What went into your Catherine the Great costume? Samantha: I actually got college credit for this because, as you know, Civilization is based on actual historical figures, and the artwork for this particular character was based on her actual coronation gown. So, it was cool how I got to spin it into an independent study as a theater major. I started with the petticoat and kind of worked my way up and did all the skirts. There's a couple different layers of skirts - there's the petticoat, the underskirt, the overskirt, and then this half skirt, which is attached to the bodice, which is corseted with steel boning in the hoops and the corset. So, yeah, it's a lot. The Escapist: Is it fairly accurate to Catherine the Great's actual dress? Samantha Yeah. As a part of the independent study I did research into 1700s Russian gowns and bought some books. It's obviously not all perfectly historically accurate because I also had to tailor it to the game. For example, there were times when I was cursing the game because of the cape. When you look at the character in the game, you're like, "Fabric doesn't do that." The Escapist: Which part of the costume gave you the most grief? Samantha: The bodice actually gave me a scar from the day I got all three - blood, sweat, and tears - into the bodice. I was trying it on and just had the bottom edge pinned and ripped my hand across the pins. The Escapist: What's your favorite part of the costume? Samantha: The sleeves: custom-made bias ruffles. 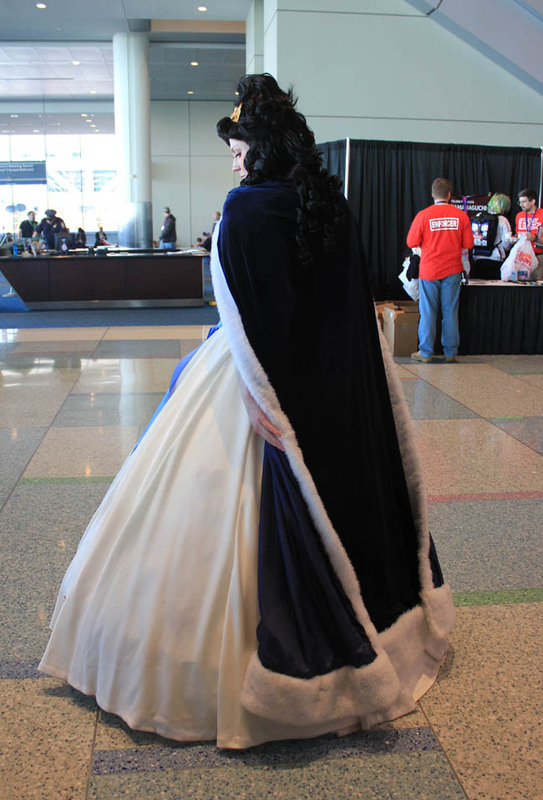 The Escapist: In your own words, what is cosplay? 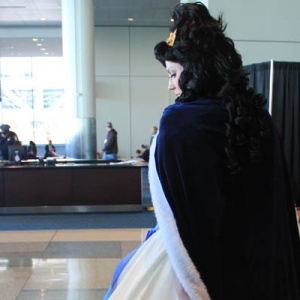 Samantha: Cosplay is a mutual appreciation between the fans and the developers, and it's the chance for fans to show their appreciation and their love of the game, for a character, or for a show. It's their chance to express that to the developers. Shortly afterward, Samantha as Catherine the Great posed for a picture with a young cosplayer. She can be reached via Twitter and said, "I've really got to make a website for this someday."